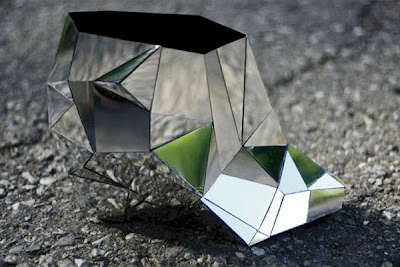 More shoe posts! I’m not usually so shoe-obsessed, but I couldn’t pass on these. 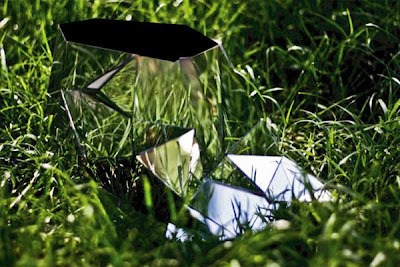 Andreia Chaves, A designer from San Paulo, Brazil has come up with an "invisible shoe" which is basically a wedge made of mirror. I came across Nixon watches a few years ago on a surf gear website and fell in lust with them immediately. That web store only carries a few models and a few days ago in my quest for a sports watch I tracked down the Nixon website which of course carries more and the most up-to-date models. 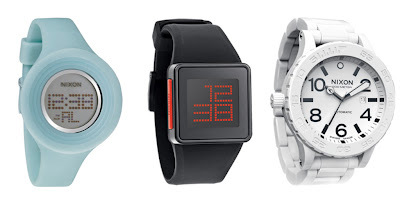 It turns out they don’t just do watches but also headphones and apparel. I am into digital sports watches at the moment and they’ve got a number of good-looking, functional digital as well as analog watches. May I have one in every colour please? I bought these water bottles a few months ago as I loved the design. 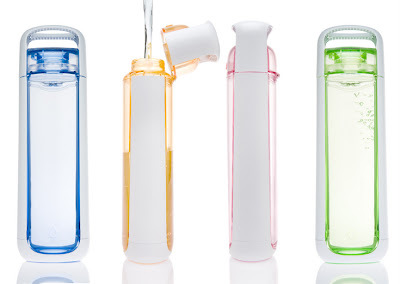 They market themselves as an alternative to the aluminum bottles which are all the rage. Although made of plastic, the material does not contain the harmful chemicals typically found in plastic bottles and the company that manufactures them also donates part of the sale of the bottles to projects geared towards protecting the environment. The bottles look fantastic; I always get comments on them. They have a flip top, so no screwing or unscrewing, and somehow they never leak. Each bottle can be personalized and they come with motivational messages. The bottles can be purchased here. Love this modern take on tribes and tribal wear which is all the rage in a small suburb of Brazzaville in Congo. European fashion style has been appropriated and, I think, improved on by the men in the town who call themselves 'sapeurs' after Sape, the French slang for 'dressing with class'. I love the bright colours and attention to detail. Like an extreme version of an English or Italian dandy, sapeurs are usually outfitted in bowler hats and tailored suits, pipes and other paraphernalia. Sapeurs have become the subject of a book by Italian photographer Daniele Tamagni. Published by Trolley, Gentlemen of Bacongo by Daniele Tamagni, with a foreword by Paul Smith, is available for purchase here. 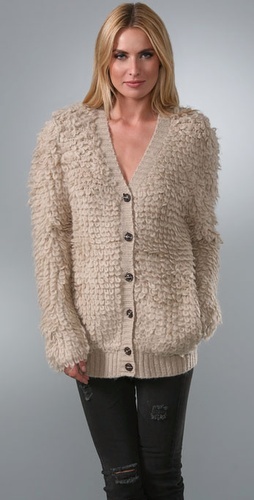 Spotted this Opening Ceremony cardigan for sale on Shopbop.com - no joke. It has to be the most unflattering sweater I’ve ever seen and the only size they have left is large. It even makes the skinny model look huge. Good luck shifting this one! In what will be the first in a series of posts on people who inspire (and sometimes amuse) me, I would like to introduce you to Ms Kelly Wearstler. Kelly, Kelly, Kelly. 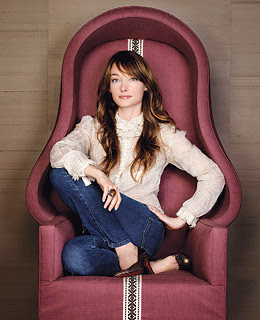 One of the coolest personalities out there has to be Kelly Wearstler, interior designer extraordinaire. I will admit that she first came to my attention as one-third of the judging panel on the Bravo TV show Top Design (a fourth judge was added in the second season), however she was already famous in the design world. While her signature design is extremely opulent (described often as “Hollywood Regency” or “Maximalism”) and typified by bold uses of colour, pattern and texture and my tastes run along more minimalist lines, I have a lot of respect for what she does and the results are stunning. I also have to admit that every episode of Top Design was watched, not only with an eye to see what the designers would be doing, but also to see what Ms Wearstler would be wearing!